Egyptian President Abdel-Fattah el-Sissi leads an Arab foreign ministers meeting in 2015. 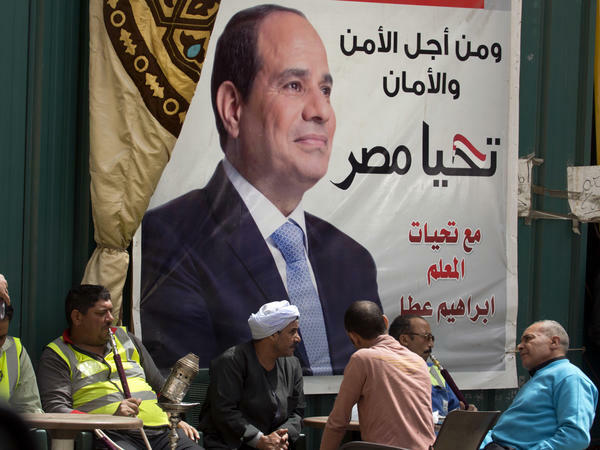 Sissi's widely expected victory in the March 26-28 polls is seen both as an endorsement by many Egyptians of his hard-line security policies and economic aims, and the effective crushing by state security institutions of almost all dissent. 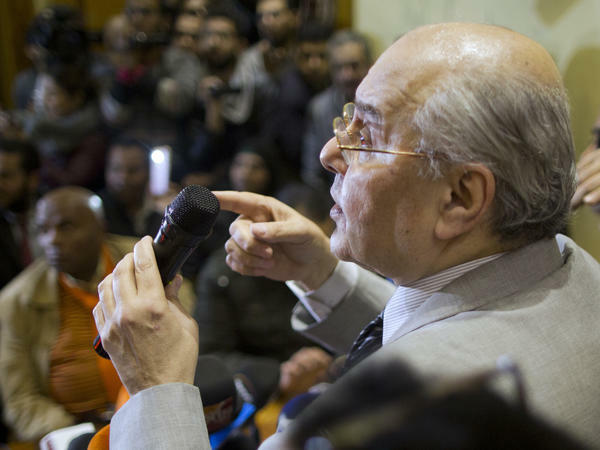 Moussa Mustafa Moussa talks during a press conference at his Cairo office in January. People chat and smoke under an election campaign banner for Sissi, with Arabic that reads, "for the sake of the nation security," in Cairo on March 24. Supporters of Egyptian presidential candidate Moussa Mustafa Moussa hang his campaign posters near his headquarters in downtown in Cairo on March 21. But he is also helped by the lack of credible candidates in the three-day election. In fact, Moussa Mustafa Moussa, the only rival, is quite clear about what drove him to make a last-minute bid for president. "The most important thing is to try to avoid that the election becomes a referendum," Moussa tells NPR at his campaign headquarters in downtown Cairo. "That would be a catastrophic situation because the voters would not go to vote because there would have been only be one candidate." With his navy blue suit and gold-rimmed glasses, the 65-year-old architect looks like the businessman he was before his abrupt entry into presidential politics. He entered the race just hours before the deadline and says a one-candidate election would have hurt Egypt's image abroad and affected morale inside the country. Despite running against Sissi, the little-known politician is reluctant to promote himself as an alternative to the president. It puts the French-educated Moussa in an unusual position as a presidential candidate. But seven years, two elections and a military coup after Hosni Mubarak was toppled in a peaceful revolution, Egypt is still going through unusual times. In the run-up to elections, six potential candidates were either jailed or dropped out citing obstacles to registering and harassment by state security services. The most serious potential rival, former army chief of staff Sami Annan, was charged with breaking army regulations after declaring he would run for president. 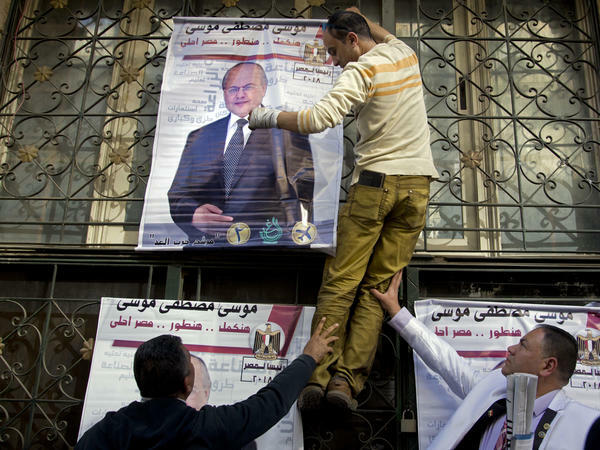 In 2005, the first multi-party elections under Mubarak's rule, while marred by allegations of wide-spread fraud, featured eight other presidential candidates. Sissi says he would have welcomed more competition. "I was hoping to have with us one or two or three or even ten from the best, most virtuous candidates and you would chose as you wish," he said in a recent Egyptian television interview, his soothing voice belying the sweeping crackdown he has overseen. "We are not ready yet. It is not a shame to say that." Sissi, a former army general, first won election in 2014, a year after leading a military coup to topple Mohammad Morsi, the country's first democratically-elected president. Morsi's Muslim Brotherhood party was later banned, Morsi imprisoned and most of its supporters jailed or driven underground. The U.S.-based Tahrir Institute for Middle East Policy details in a recent report the rollback of Egyptian rights and freedoms. It notes sweeping counter-terrorism laws allow the death penalty for "crimes under a definition of terrorism so broad it encompasses civil disobedience." After ISIS attacks on churches last year, Mubarak also implemented a nation-wide state of emergency which allows detention without charge or trial. Sissi and other government officials say the measures are necessary to ensure Egyptian stability and counter Egypt's many enemies inside and outside the country. Sissi has warned that anyone who believes the 2011 revolution that forced out Mubarak could happen again does not know him. Sissi has not done traditional campaign events. He doesn't need to. But in speeches at ceremonies he has asked Egyptians for a mandate to continue his economic reforms and told them he needs the world to see the country voting. Voting in Egypt is compulsory. But privately, many young Egyptians who believed the 2011 revolution would usher in social reforms and freedom say they will stay away from the polls in protest. With Egypt's 60 million eligible voters making elections a huge undertaking, fines for not voting are very rarely imposed. "There is no election, it's a show," says Dalia Abdel Hameed, an activist at the Egyptian Initiative for Personal Rights. "It's very depressing because it's much worse even than it was during the Mubarak days." "The period of eliminating other candidates was very stressful for everybody," she says. "The younger generation is generally more depressed and whenever they try to gear up for something they are more easily crushed now. So I don't think we will see many people there except those who are being pushed by the government." But there are many who will vote for Sissi. His supporters include business people seeking stability who credit the president with economic reforms that have stabilized the value of the Egyptian pound. Christian leaders side with him as a bulwark against the Muslim Brotherhood. And many Egyptians indisputably prefer his strong-arm tactics to the chaos they believe would follow in his absence. In Cairo's working class neighborhood of Fustat, at a recent Sissi campaign event, hundreds of women invited by a social service organization filed into a huge tent lined with festive satin panels. Many said they had never heard of Moussa. They sat on white metal chairs, resting tired feet in dusty plastic sandals while children chased each other between the aisles. Many of them said Sissi's expansion of the food program to provide an extra 50 Egyptian pounds — about $3 — worth of food a month has changed their lives. "Sissi is a good man. God willing we will elect him for the second and even the third time if I am still alive," says Ahlam Abdul Rady, who came with four great-grand-daughters. Abdul Rady says her daughter was recently moved from a slum being cleared for development to a new furnished apartment paid for by the government. She says that never would have happened without Sissi. On the street outside Moussa's party headquarters, a loudspeaker on the sidewalk blares an upbeat campaign song with the refrain "Moussa Mustafa Moussa." His campaign manager, Sayed Mahmoud Obeido, dressed in a white suit with blue lapels, hands out campaign fliers. Obeido says he is predicting Moussa will win 40 percent of the vote — a seemingly unlikely prospect. But even he won't go as far as to urge voters to chose his candidate over the Egyptian president. "With all respect to Sissi, we are asking people to vote for Sissi or Moussa," he says. Moussa's economic platform promises to create jobs for young people and lift Egyptians out of poverty by distributing shares of state-owned enterprises. Amid an unprecedented crackdown on media and freedom of expression, few Egyptians are willing to criticize Sissi publically. Security services banned at least 93 news websites in Egypt over the last year with no explanation. Media and entertainment figures arrested include a singer who jokingly told fans the Nile river was polluted and a state TV host who mentioned a police family that was having trouble making ends meet. Last week, government censors demanded the deletion of five scenes from an Egyptian play Before the Revolution. The play explores repression and humiliation in the Mubarak era. Director and playwright Ahmed al-Attar cancelled the play's debut and asked the censorship committee to take another look. He staged it after they agreed to just two cuts. "It didn't think it would be that sensitive," says al-Attar, 48. "I don't think there's anything in there that should make it that sensitive. I think everyone's just on edge because the elections are coming up." The cuts included a scene about the assassination of the head of the Egyptian parliament and a series of Mubarak-era jokes. One of them referred to even a genie in a bottle being unable to remove Mubarak as president. "It's a play about how we were living," says al-Attar. It's not a political play but everything is political anyway." Egyptians are going to the polls this morning to vote in a presidential election. 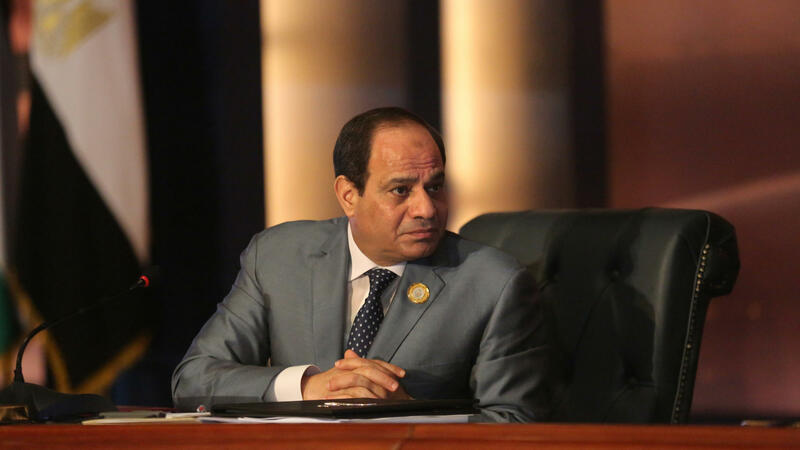 President Abdel-Fattah el-Sissi is seeking a second term. El-Sissi's a former army general, and he is pretty much guaranteed to win this election. So that's revealing a lot about life in Egypt right now. NPR's Jane Arraf was out at a polling station this morning. Hey, Jane. JANE ARRAF, BYLINE: Hey there. KING: So what were you seeing in the streets today? ARRAF: Well, it's a working day here so there weren't huge lineups of people outside, but in fact this election is going to take three days 'cause there are so many voters, 59 million of them. So at the polling station I went to at one of the schools, it was really quite festive. There were some people who were coming with their kids. They were dipping their fingers in ink. You know, when you vote, you dip your finger in ink in a lot of countries to prove that you voted and so you can't vote again. But a lot of them were dipping both their fingers in ink so they could make the victory sign. I spoke to one of these voters, and this was retired engineer Sameh Saltan (ph), and he told me that he had come out to vote because it was his duty as, what he called, a real Egyptian. SAMEH SALTAN: It's the future. If we need to build the future, we need to trust for anybody - not just el-Sissi - anybody, love this country, vote for him. ARRAF: So as you can hear there, in many ways this election has become sort of a test of loyalty. KING: But I'm surprised in part to hear the festive tone because we're seven years on from the Arab Spring, the massive pro-democracy movement that brought down a dictator. Egyptians are very proud of that. And yet we're hearing these elections are not so free, that el-Sissi is almost guaranteed to win. How are people squaring that? Do people just really like this guy? ARRAF: (Laughter). That's a great question. Some people actually do really like him. ARRAF: And some people are afraid of him, and a lot of other people are more afraid of what would happen if he weren't there, which means basically that they have made the trade-off, that they are willing to put up with what have been incredibly repressive measures, a sweeping security crackdown, economic pain. Because the alternative, they feel, might be chaos. So the thing about this election is not so much the voting, although there may be questions later, it's what happened in the run up. There were several other candidates that would have given voters a choice. Instead, when they go to the polls, they have either Sissi or one other candidate, a low-profile politician who also supports Sissi. The other ones, some of them were jailed. Others said they were intimidated into not running. So yeah. So a lot of people don't actually see this as a terribly democratic election, but a lot of those who are coming, like the engineer I spoke with, see it as, this is our duty, we're going to give the president our support. KING: If it's pretty much a sure thing that el-Sissi will stay in power, how is he likely to use that power? What's his agenda? ARRAF: Well, it's going to be considered a mandate for the huge projects that he's taken on. So he's doing things like expanding the Suez Canal. He's building a whole new city, an administrative capital. He has also launched a sweeping military security crackdown. The country's under a state of emergency. So if there is a considerable number of people turning out, he's going to take that as a mandate to keep up the security measures, to press on with those economic reforms, no matter how painful they are. 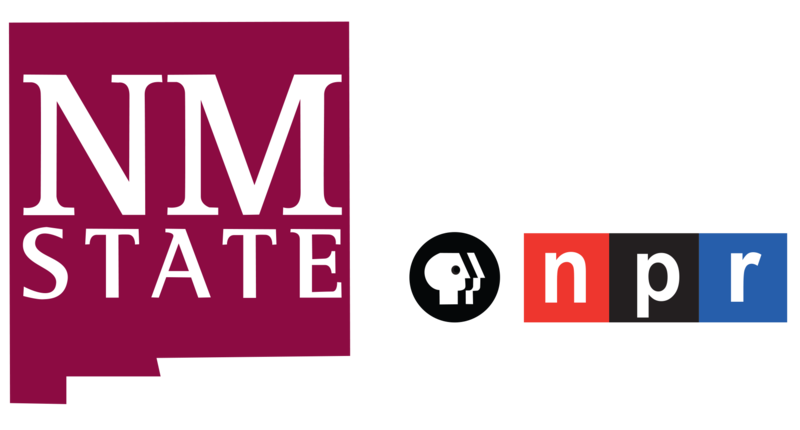 KING: NPR's Jane Arraf. Thank you so much for joining us, Jane.